It's spring. After a long, tough winter that tried everyone's patience, it's spring. The snow has melted, the brown grass is turning green. Depending on where you live, flowers have forced their way above ground. Some of you have spring fever, or maybe just hay fever. I feel like I have my own little spring going on right now. Today is a day that’s been a long time coming. 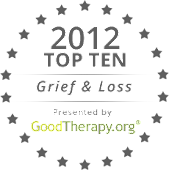 The Friend Grief blog is four years old, and it’s been in need of upgrading for quite some time. So as of today, I (also) have a new website: VictoriaNoe.com. This is a big step in a lot of ways. First of all, it’s my name, not the subject of my books. It was important to take this step because my writing has already begun to expand into other areas. That doesn’t mean it was easy. Putting my name out front – rather than the books – has intimidated me for a long time. This fall will see the publication of the sixth and final book in the Friend Grief series: Friend Grief and Men: Defying Stereotypes. Next year they will be bundled into one book and released on audio. And then…well, that announcement is coming soon, too. I’m not one of those authors who’s intimidated by speaking in public. So you’ll find a page devoted to public speaking, with presentations I can bring to your event or class. On April 29, I’ll send out my first weekly email newsletter. I don’t want to fill up your in-box unnecessarily, so each one will be short, sweet and timely. The first 100 people who sign up for it will receive a free pdf of the first chapter of Friend Grief in the Workplace: More Than an Empty Cubicle, coming out in May. I have the talented and patient folks at 1106 Design to thank for their hard work on my new website. I hope you’ll check it out and find a lot to like. And have no fear: the Friend Grief blog will continue, with posts of my own, guests, book and film reviews and more. So feel free to keep checking us out right here. My thanks to you all who have followed me this far. I’m not done yet.